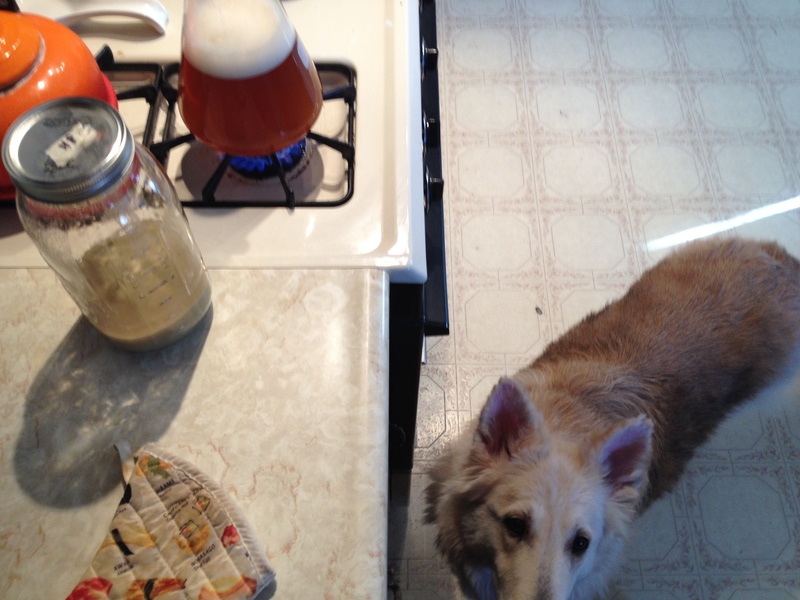 This entry was posted in elements and tagged brew dogs, lager, yeast by MD. Bookmark the permalink. Just don’t feed the yeast to the dog. That could be a legitimate concern, because this dog is a beer drinker … not that I ever encourage it, but she does seem to enjoy lapping unguarded pints. Speaking of lager yeast. I’m thinking of firing off my first lager next weekend… I’m a big German Pils fan but would you consider that a good 1st lager attempt? Would something with a bit of roast/color be more forgiving…aka…Dunkel from Munich perhaps? How did it go? Sorry I probably missed the boat on advice, but I think so much of lager brewing is in the fermentation, wort color is secondary to things like yeast health, pitch rate and temps. I like both Pils and Dunkel, don’t make me choose. No big deal… I went with the Dunkel… Everything went smoothly. Thanks to you I keep my yeast health at top notch. Ever since I started paying more attention to yeast and fermentation my beer has gotta exponentially better… Cheers!